For me, new events such as this are like a new piece of tech for technology enthusiasts, and I get excited to be an early adopter of a new conference. So, I booked my ticket shortly after the conference was announced and was eager to expand my knowledge about video. Video: the biggest budget shift? Why video? I have started to increase my video content since the middle of last year, when I realised that video content yields better results on my social channel, leading to higher engagement rates and increased client satisfaction. As soon as I started with video content, the response was and remains highly encouraging because clients are positively surprised when I add a piece of video content to the coverage. Throughout the last 12 months, I’ve been ‘testing the waters’ with video and experimenting with various formats: reportage style, highlight, venue showcase etc. Various events require different coverage; therefore, I don’t stick to one format, but instead work on refining and improving my filming techniques (I don’t edit my videos myself though). When we look at the leisure travel industry, vlogging is a substantial piece of business where budgets are invested. From what I’ve seen at KeyFrame, vloggers who do it full time and produce weekly vlogs act almost as a media production company, with professional equipment, knowledge of advanced editing techniques and application of SEO in the most extensive way. That has helped them establish a strong presence online, build relationships with their community and develop successful brand collaborations. Looking at the digital marketing landscape today, video is where a considerable part of the media budgets go. If you are not producing regular video content for your business, either by yourself or working with influencers, you are missing out on growing your business and reaching your target audience. The KeyFrame conference was organised by Traverse and Travezio for the first time and was capped at 150 participants. Traverse has established itself as a strong brand of events for content creators and those working in the travel industry (bloggers, vloggers, PR agencies and tourism boards), and alongside their events they also act as a digital agency that executes influencer campaigns. Travezio is a video production company which specialises in travel and innovates in this space with content that captures viewers’ attention and tells a compelling story in an original manner. The event was also supported by Hamburg Tourism and their representatives were with us throughout the entire event and were very helpful in terms of offering their guidance. 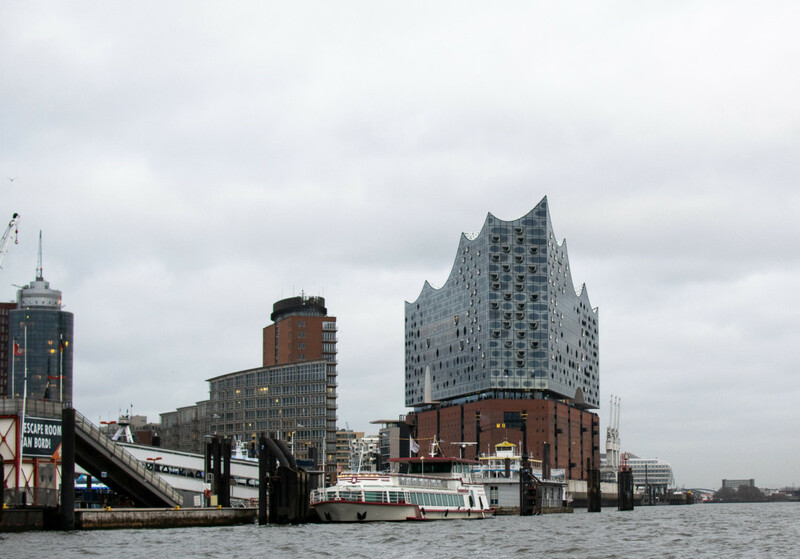 Additionally, all event participants received a 3–day Hamburg Card which included unlimited travel by bus, train and harbour ferry and additional discounts on tourist attractions. At the talk at ITB Berlin last year, it was mentioned that ‘Festivals offer attendees the opportunity to design their own programme where event attendees are not obliged to follow a strict agenda.’ Here, the Traverse team organised a mid-week programme on the Thursday and Friday with various practical workshops related to video production, editing and reporting. Sessions took place in parallel and offered participants the option to choose the most relevant session for them, from beginners to advanced levels. Most of the sessions were also outdoors, allowing attendees to keep active and see more of the city, something that usually will not be possible if we are to stick to one conference room. In the evening, we all took a boat tour and that was a wonderful way to experience Hamburg at sunset and chat with other event attendees. At the conference, there were three sessions running in parallel, and there was flexibility to choose between any of them. For example, at one session, I realised that it wasn’t right for me, so I left and changed rooms. Some people also chose to have meetings or work during the sessions. Attendees had the freedom to design their own programme and that is one of the key elements of festivalisation. The venue was an absolute highlight, I really liked it! It was called Mind Space and was located in the city centre. On week days, it’s a co-working space for creative minds, while on weekends it can be turned into an exclusive event venue. There was a very reliable internet connection, unlimited coffee supply in trendy cups saying, ‘not talking till I get my coffee’, ’pass the sugar’ or ‘good morning hot stuff’. Dog food was available if you chose to bring your pets, delicious soft drinks with basil and lemon flavours and vegan lunches sponsored by Foodboom. It was also very modern, bright and spacious, providing a feeling of having a get together in a living room and not in an office building. The destination as the DNA of the event? Creative industries is one of Hamburg’s key sectors and attracting events such as this makes it the perfect fit for creative people to have a fruitful ground to nurture their creativity, in this case, producing travel content. For events such as this, the destination becomes their DNA, and as much as people want to attend the event, they are also looking forward to travelling to the destination. It was my second time in Hamburg and this time it exceeded my expectations, largely due to having this safety net to tag along and trust the organisers that each activity will show me more of the city while at the same time being in good company with fellow bloggers and vloggers and learning new skills. I stayed at the Hotel Motel One Hamburg Am Michel and it was the perfect location, from where I could mostly walk to all event activities and the venue; I loved having this aspect of convenience and sustainability. The first edition of KeyFrame was extremely successful, and I think partly because Hamburg was a great host and the right ‘fit’ for an event for 150 creatives. The panel at ITB Berlin touched on ‘destination experience’ and noted that ‘attendees will not have the same experience as they will have in Munich, Lisbon or Hannover (talking about the tech events Web Summit, Bits & Pretzels and CEBIT)’. Destinations become an event’s DNA when we talk about festivalisation and add to the overall experience. I am looking forward to hearing the next announcement regarding how the event will develop and whether it will look for a new host or will stay in Hamburg. I’ll be looking forward to coming back to Hamburg!